The food truck scene has been called a trend by some, but it doesn’t seem to be slowing down at all. Although many local businesses have lobbied to get them banned (or to have restrictions put on them) we’re still starting to see these food trucks pop up at various events. You can find food trucks outside office buildings during lunch hours, and at the side of the street on Saturday and Sunday mornings. It doesn’t matter whether or not you agree that the food truck revolution is here to stay, because at least for now, it’s doing pretty darn well. The cool thing about running a food truck is that you have an opportunity to connect with your fans in different areas of a town. For example, a Chicago food truck could be sitting outside the event on the south side one day and end up selling to customers by Wrigley field the next day. Whether you’re selling burritos or breakfast sandwiches out of your food truck, the whole glory of the situation is that you don’t have to be stuck in one place. As we’ve mentioned above, a huge part of the food truck business is telling your customers where you’re going to be next. That’s why a website is so important. 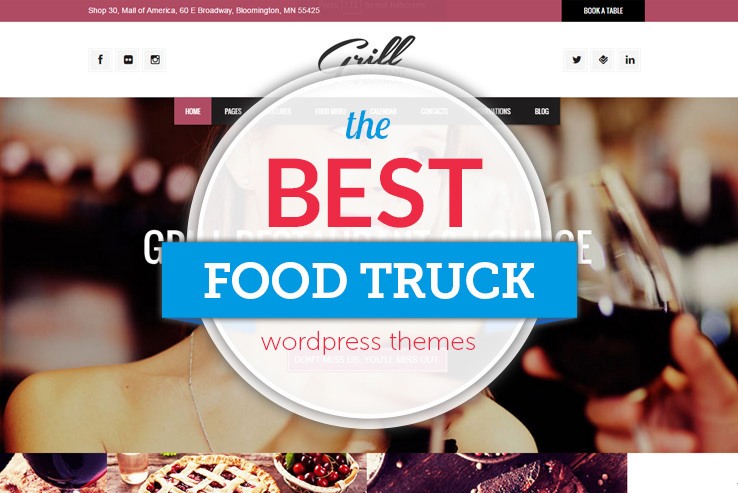 Obviously, many food truck operators are not going to want to spend much time or money making a website, so it’s a good thing so many WordPress food truck themes are available. These have tools for talking to your customers, such as Twitter and Facebook widgets. The food truck themes must be responsive because most of the customers are going to be looking at the website on mobile devices. The themes are rich with areas for talking about your menu, and you may even find some handy backend tools for drag and drop editing. So, if you’re in the food truck business, keep reading to learn about your best options for making a website. The Food Truck & Restaurant Theme is definitely the best choice for food truck owners because it’s built just for this purpose. The theme integrates with WooCommerce for turning your website into a beautiful online store. Obviously, this won’t apply to some food trucks, but it can serve as a nice source of income if you can sell merchandise to your customers through the website. 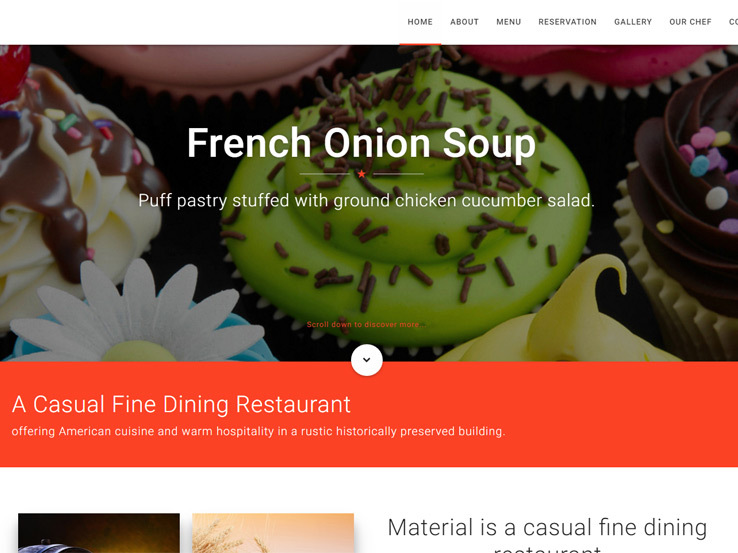 The 20 tasty flavors refer to the various types of layouts that come with the theme. For example, you can choose the mac and cheese flavor if you’re running a food truck that specializes in the delicious cheesy treat. 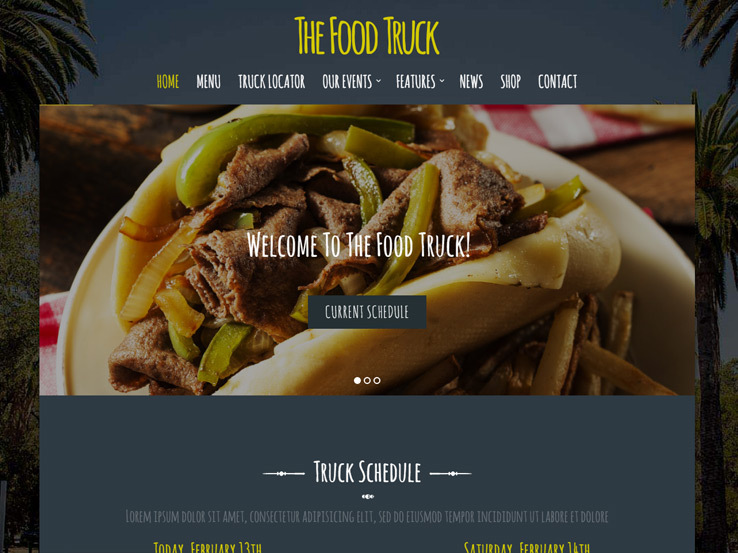 The Food Truck & Restaurant Theme is completely responsive, which is handy for users who prefer to use their phones. The Twitter API is included, which is great for sharing content from your blog on Twitter and displaying a feed of your most recent tweets on the actual website. For example, you could put the Twitter widget in a sidebar to keep people updated about your whereabouts. The primary reason we like this theme so much is because one of the features is a beautiful food truck locator. People basically just look up the food truck locator and instantly see where you are sitting. You can also talk about where the truck plans on going in the future, keeping a consistent flow of people coming into your truck. One-page layouts and multipage layouts are both available and you have the tools to feature your own specials on the homepage. Over 150 HTML files are packaged into the Food Truck & Restaurant Theme, making it simple for more advanced developers to construct certain elements and customize the theme to their liking. You can also play around with several PSD files for a truly wonderful development experience. The two different showcase sliders are ideal for talking about your new menu items and promotions for the day, while the live contact form comes in handy for keeping in touch with your customers. Collect email addresses from your website, and connect the email form to a service like MailChimp. The full-width Google Map has what customers need to quickly understand where the truck is, or it can work well if you have an actual brick and mortar restaurant as well. 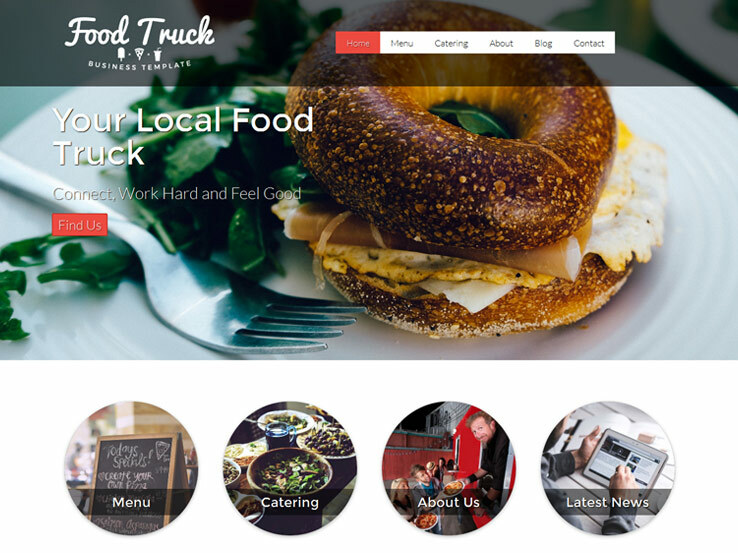 Overall, it’s a beautiful theme, so give it a try for your food truck business. 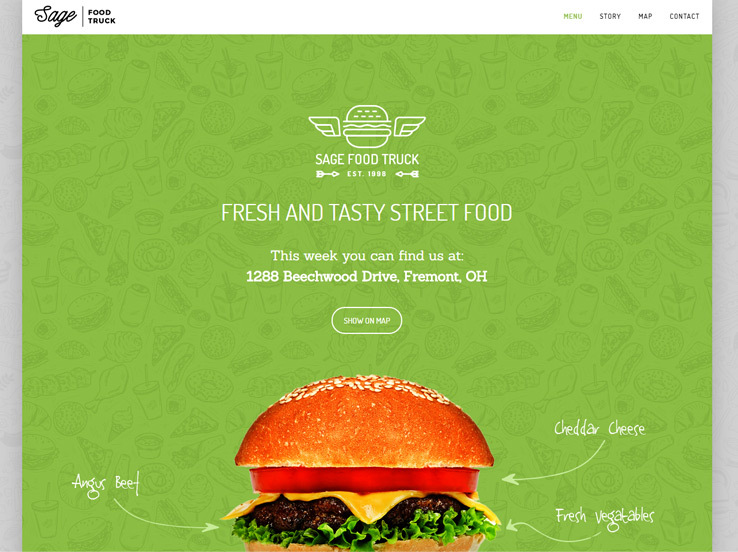 As another viable food truck theme, the Sage theme is primarily built for restaurants. However, a food restaurant theme generally has all the tools you need for talking about the menu on your food truck and so much more. 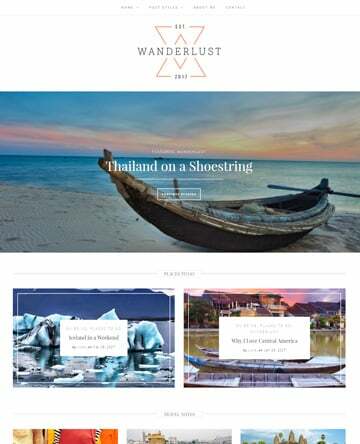 This theme provides a responsive layout, which comes into play for those who are going to be following your content through their mobile devices. You can create almost any type of layouts with the Sage theme, making it one of the more flexible options on the market. That’s what makes it different from the previous theme. You can make far more setups with this theme, whereas the one we just talked about is more for just food trucks. 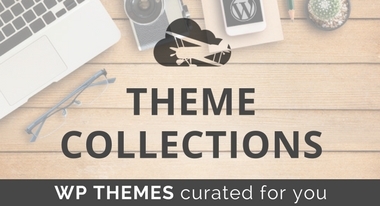 The theme has over 40 demos which allow you to display your content in an organized fashion. The theme comes with a one click installation, which is nice for both beginners and advanced users. We also enjoy the translation files, since it’s a surefire way to bring in more customers who may not speak your language. Think about all the neighborhoods you’re going to visit in your food truck. You’ll want to cater to all of those people. The demos are set up so that you can choose from a wide variety of cuisines and restaurant styles. So if you run a Mexican food truck, there’s an option for that. Several menu pages are included, making for a beautiful layout when people are looking to figure out the exact food items you have on the menu. The layout builder provides over 80 elements, bringing you a more friendly design environment. For example, you don’t have to worry about touching any code, and you can simply place items throughout your homepage. This pairs well with the Visual Composer plugin, since you don’t have to do much in terms of coding. The drag-and-drop mega menu builder makes it possible to add a fairly large number of pages to your menu, should you need them. The WooCommerce integration is solid for selling items through your website, while the Slider Revolution plugin offers exactly what you need to showcase promotions and events. In fact, many of the effects that come with the sliders are essential for grabbing attention and sending people to other parts of your website. The FontAwesome integration provides an incredible opportunity for customizing your fonts in a way that works for your brand. Along with rich typography, unlimited colors, and video backgrounds, the Sage WordPress theme is certainly a likable solution for food trucks. Try out the Food Truck theme if you’re interested in a simple way to show off your menu and locations. Several key features pull together the overall functionality of the Food Truck theme. 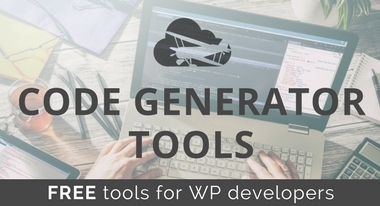 It provides a page builder, which gives you the tools needed to simply drag and drop items throughout your website. This means that you don’t need to have a fancy development degree to design the site. In fact, many advanced developers like to use this because it speeds up the entire development process. After all, there’s no reason to do more work than required. The Slider Revolution plugin comes with the Food Truck theme, helping you showcase certain items and promotions. The one click demo install comes in handy, while the responsive layout is precise enough so that users don’t have to zoom in or click around your website to see the content. The eCommerce support is rather powerful, considering that you may want to sell your own merchandise or even take some orders online before people get to your food truck. A truck locator map ensures the customers are aware of where the food truck is and the multiple food menu options are ideal for displaying what’s being served for the day. The Food Truck has the settings needed to change around colors and fonts and you can use the translation files to connect with people no matter what language they speak. It’s a beautiful one, so check it out! 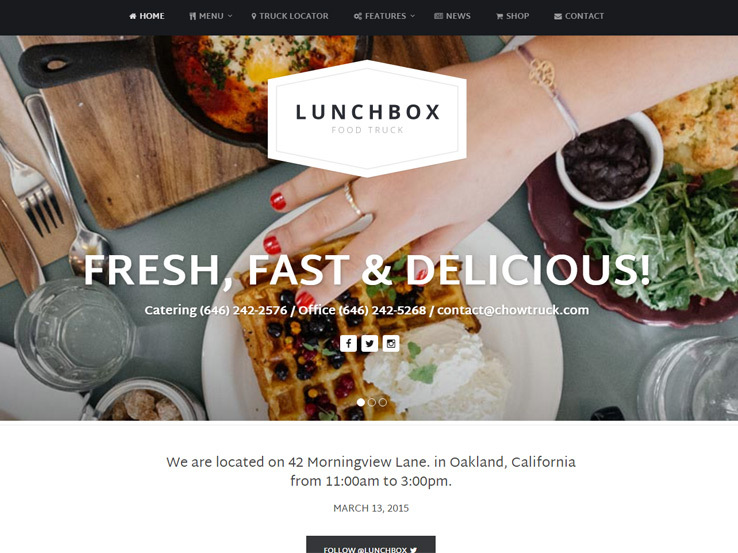 Consider the Lunchbox theme if you want to include parallax animations throughout your website to create an interesting visual effect or if you’d like to feature a video in the slider to show your customers what goes into preparing their favorite meal. 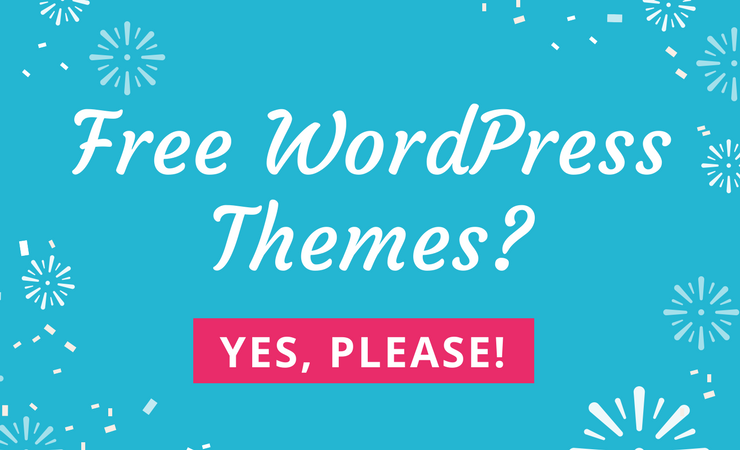 The theme features a one-click install and a page builder which makes it incredibly easy to set up your website and get it up and running as quickly as possible. The Truck Locator feature makes it easy to locate your truck and stop by for a delicious meal and it even works on smaller devices such as phones and tablets considering the theme is responsive. Another notable feature is the Food menu builder which allows you to add hundreds of menu items to your website in a clean and organized way. This way you can include all the dishes you serve organized into breakfast, lunch, and dinner which makes it easy for customers to make their decision. Unlimited colors, Google Fonts, and shortcodes are also available so you can easily customize your website and include buttons, tabs, accordions, and much more without the need to touch a single line of code. Finally, the theme also includes a blog section which is perfect to share news and updates on your food truck with your hungry customers and keep them coming back for more. Adriana is marketed as a theme for bakeries or chefs working from home but it can effectively be used as a food truck theme considering it includes several spots where you can include your location and your contact information. 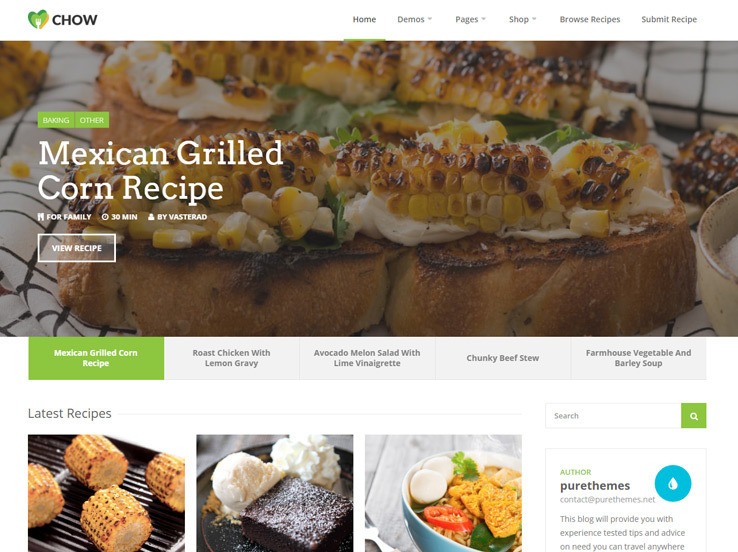 However, the theme also features several ways to present your dishes both on the homepage and on the portfolio page where you can go into more details about the process and the ingredients you used. Several call to action areas are included so you can notify your customers about daily specials or other promotions such as events where they can find your food truck. The theme is fully customizable to you can easily incorporate the colors of your food truck and you can even feature everyone working at your business so customers know which one of your cooks is in charge of making their delicious meal. The blog section is a great way to share recipes and updates on your location while the SEO optimized code and responsive design will ensure your truck can be found at the top of the search engine results. 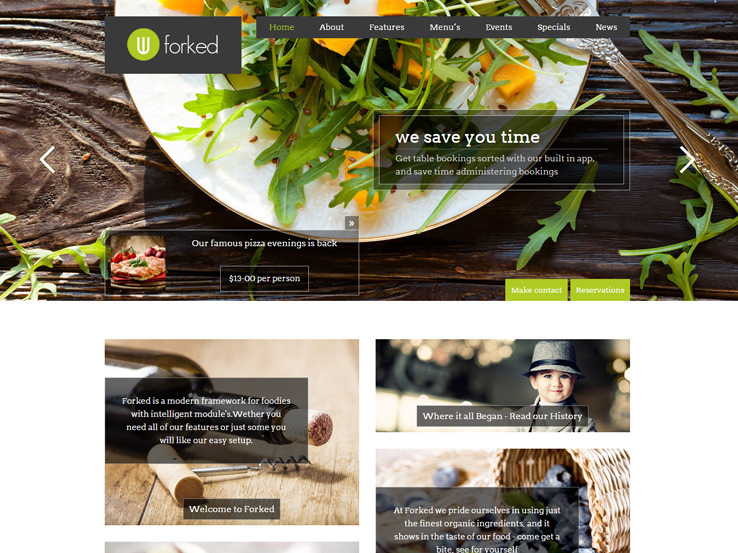 Forked is an interesting and unique theme built on top of the Croma restaurants framework which was built specifically for restaurants, food trucks, breweries, and anyone else in the food industry. As such, it includes features that can rarely be found in other themes such as detailed Google Maps integration, booking management, specials management, and an events calendar. With this theme, setting daily specials offered on your food truck is a breeze and the events calendar makes it easy to highlight special locations and times where your food truck can be found. If you also offer catering services, booking management features will be right up your alley. The theme is fully responsive and includes plenty of help videos should you need any help in setting up the theme. Unlimited colors allow you to brand your site to match your food truck and the Google Maps street view makes it even easier to find your location. Along with portfolio pages to feature your signature meals, contact forms, and a countdown timer, Forked has everything you need for your food truck website. 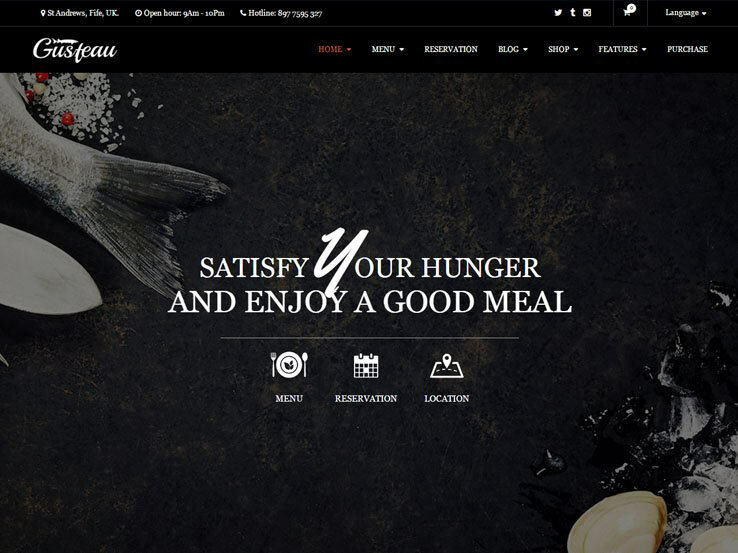 Gusteau is a clean and elegant WordPress theme with everything required to create an effective food or restaurant website. It comes with outstanding features, including menus with several layout options, an online reservation system that’s easy to implement, unique layouts, and support for the WooCommere plugin. The beautiful galleries are great for showing off photos of your dishes, while the events module allows you to keep your customers updated on the time and places you’ll be going to. Besides, the template includes social media icons and a blog for sharing valuable content and generating more traffic to your website. The Food Truck theme is a marvelous option for food and catering businesses. It has a sleek, responsive design and many awesome features such as a full-width image slider to highlight photos of your dishes, food menus to show what’s on offer, and Google maps to help potential customers find your exact location more easily. 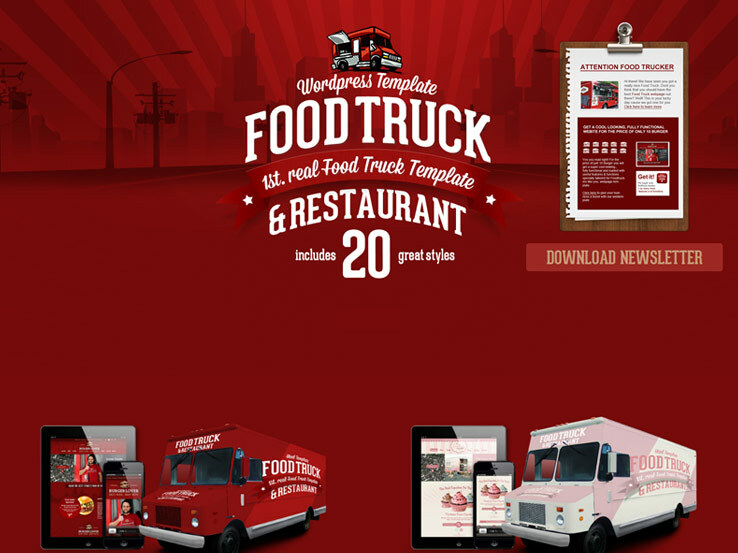 Better still, the Food Truck theme comes with several pre-made page templates for things like menus and photo galleries, which will save you time when building your website. Along with social media integration to help you gain more exposure, support for customer reviews, and plenty of customization options, the Food Truck theme is a solid choice so give it a try. 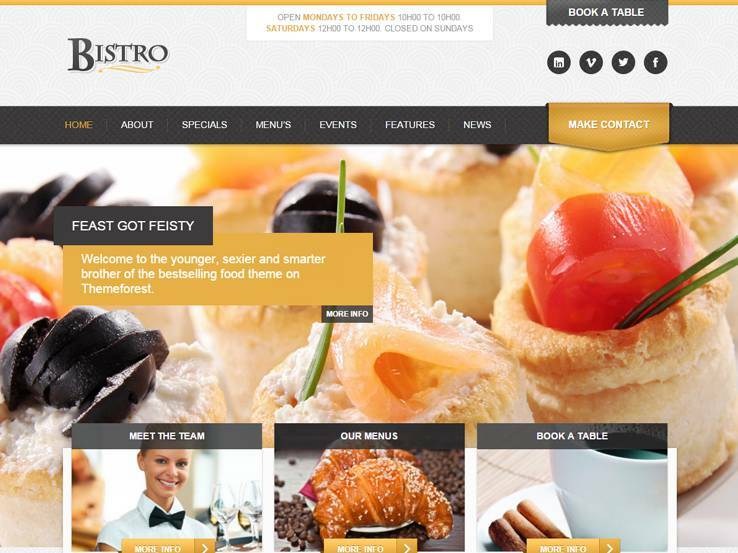 The Bistro theme features a booking app, food menus with different amazing layouts, an events calendar to show potential customers where you’ll be going next, a beautiful image slider to show off photos of your best dishes, and much more. The specials and promos feature is designed to help you generate more sales, while the responsive design ensures that your website looks great on smartphones and tablets. Besides, there’re spots to display your opening hours and contacts, an email newsletter subscription module as well as social media icons to help you connect with customers on different social platforms. 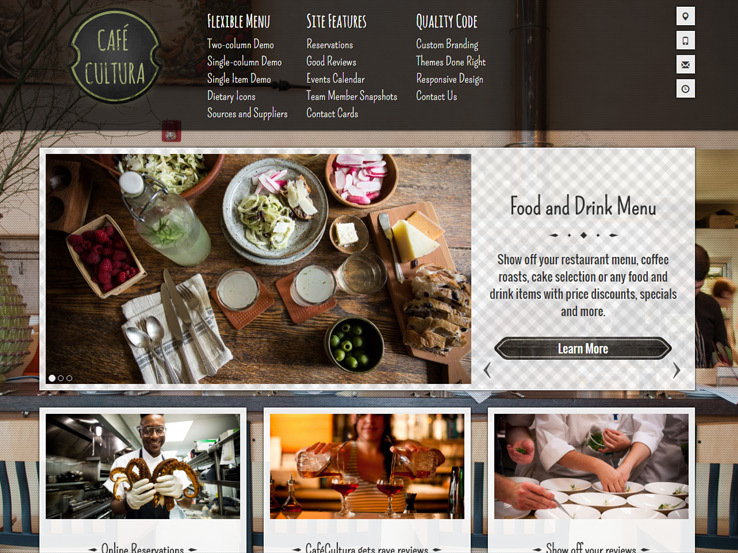 Consider the Cafe theme if you’re looking to establish a high-impact online presence for your food truck or restaurant business. 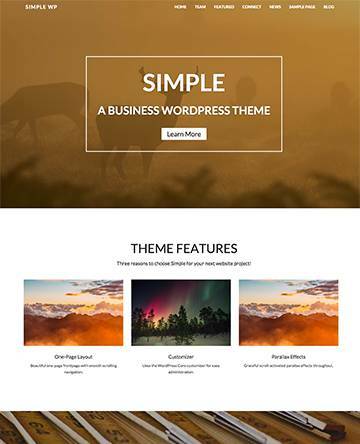 This clean and elegant theme features your logo at the center of the header area, which supports a full-width image background and has smooth parallax effects. Another impressive feature of the Cafe theme is the food menu, which looks stylish on a parallax background section. The theme’s footer has space for your contact details, opening hours, and email newsletter form. You’ll also find social icons to connect your site with your social media profiles. 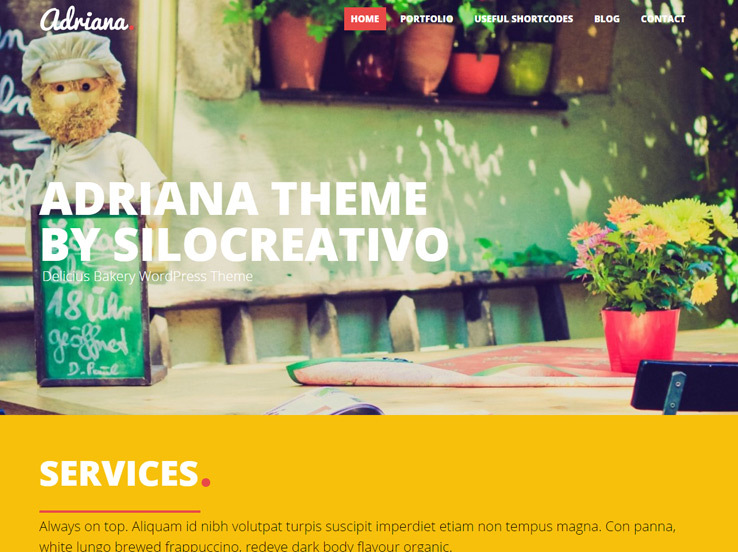 Cafe Cultura is a responsive and flexible WordPress theme by Theme of the Crop. It has many useful features, including food menus, support for customer reviews, and an events calendar. The menu is quite impressive, allowing you to show off your food and drink items with price discounts, specials and more. Contact cards are included for people to easily get in touch with you, and you can also display team member snapshots to add personality to your website. Along with support for featured images, post formats, color options, and an intuitive theme options panel, the Cafe Cultura is certainly worth trying. 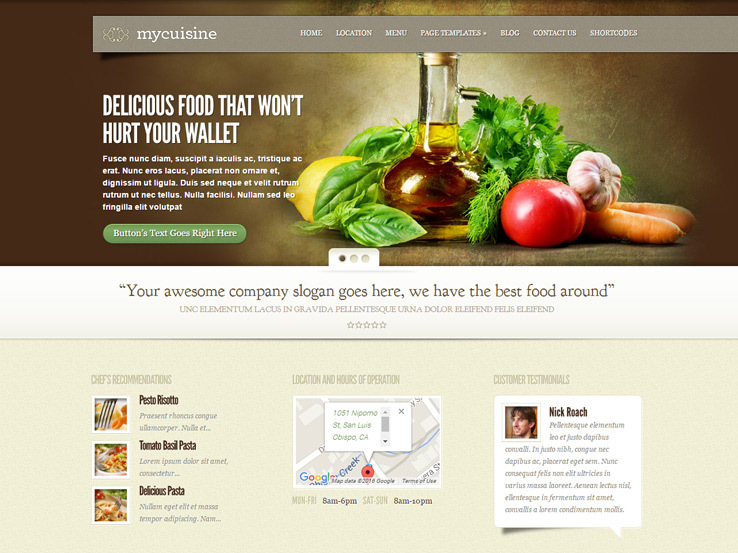 Meet MyCuisine, a simple, delightful WordPress theme by Elegant Themes. It comes with great features for a food truck business, including Google maps to help potential customers find you easily and quickly, food menus to present your offerings, customer testimonials, and a yummy frontpage image slider that contains overlaying text and buttons that work great as calls to action. 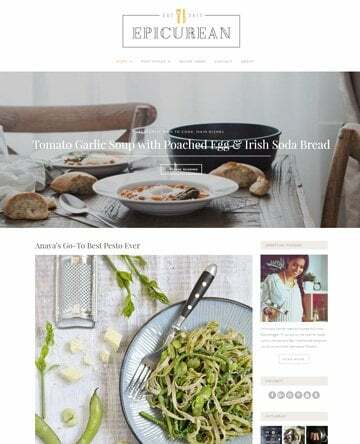 Several pre-made page templates are included with the MyCuisine theme, so you won’t have to create most sections of your website from scratch. Additionally, the template is highly customizable, and it includes localization files in case you’d like to translate your site to your local language. 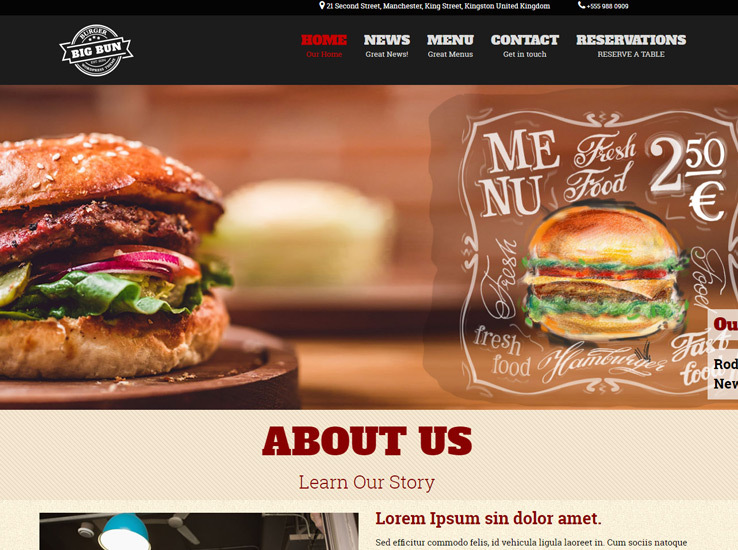 Burger is a responsive, photo-friendly and highly flexible WordPress theme that can be used for any food related business. It has large image areas to present photos of your food stuffs, including a full-width slider on the main page as well as a beautiful gallery section. Showcase the dishes you have on offer along with their prices using the elegant food menu, and display customer testimonials to boost your sales. You’ll also find spots to display your contact details as well as social icons to connect with Facebook, Twitter, Instagram and other social platforms. 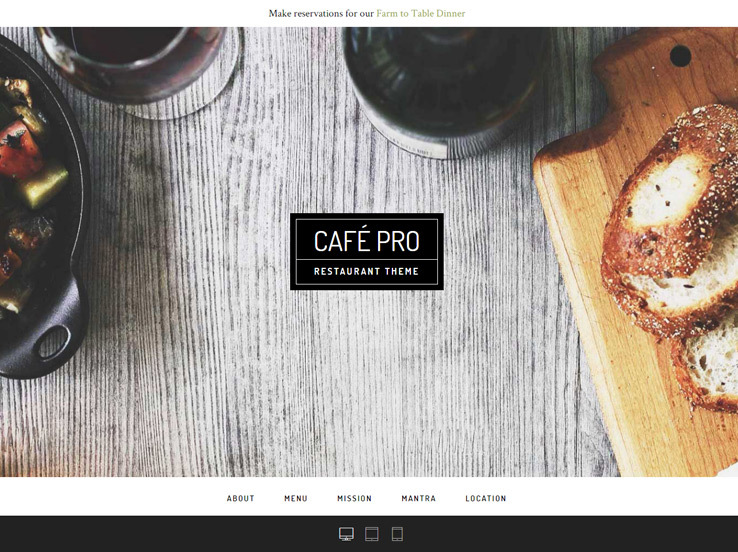 From TeslaThemes comes Downtown, a clean, modern, and stylish WordPress theme designed for food and restaurant businesses. It features large image areas that bring your yummy photos to the fore, food menus for presenting the dishes on offer, an online reservation system, and much more. Support for Google maps means potential customers will have no problem finding your exact location, while social media icons make it easy for people to connect with your business on different social platforms. Along with, a beautiful blog section, an email subscription form, and a powerful and user-friendly admin panel, the Downtown theme is definitely worth checking out. The Material template has a beautiful responsive deign that looks perfect on smartphones, tablets as well as on large desktop screens. 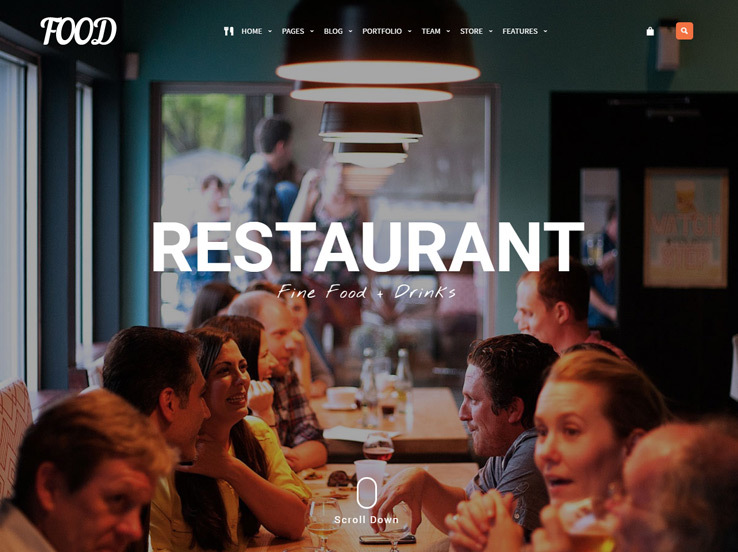 Suitable for food and restaurant businesses, the template comes with the option for a single page or a multi-site, food menus with different layouts, a large attractive front-page slider, and a gallery that supports both images and videos. The online reservation module is handy if you provide event catering services, while social icons will help you gain exposure on social media platforms. Moreover, you’ll find space in the footer to display important information such as your location and hours of operation. 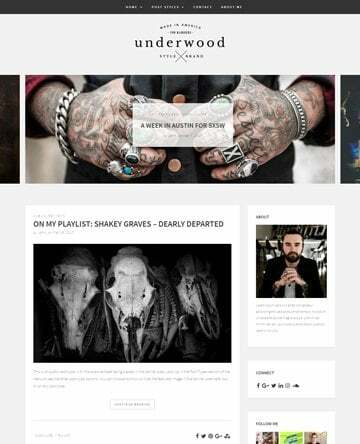 Chow is a clean and elegant theme designed with a special focus on recipes. It makes it easy for you to create search engine-friendly recipes, and you can also allow users to submit their own recipes. This can be useful in creating customer loyalty for your food truck business. 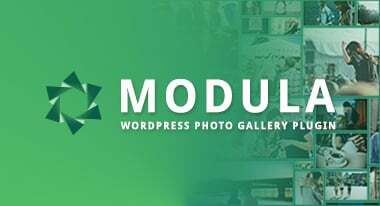 Besides, the fully responsive template comes with a full-width image slider to highlight your yummy photos, a reviews system that will help boost your credibility as well as social media integration. Also, the Chow theme includes 4 design styles and localization files that make it easy to translate your website to your local language. 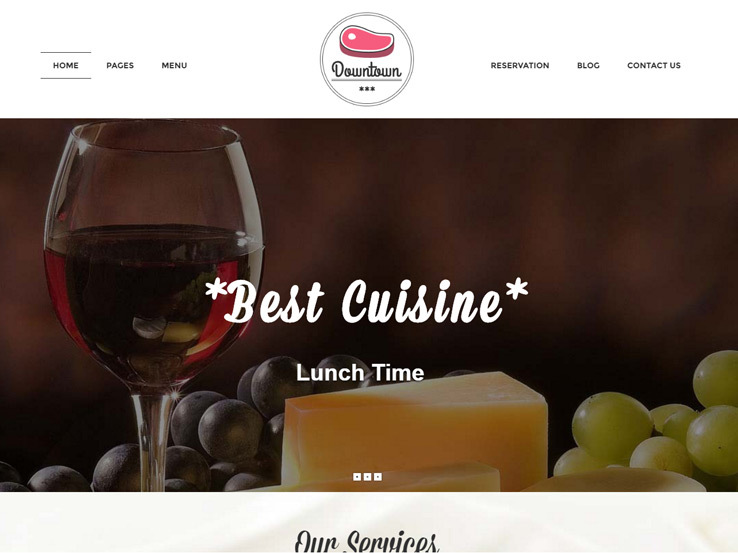 The Food theme comes with many useful features for food truck businesses, including a food menu to showcase your meals along with their prices, Google maps to help potential customers find your exact location, and a stunning fullscreen slider on the homepage, which is perfect for highlighting photos of your dishes. Creating your website will be easy and enjoyable thanks to the drag-and-drop site builder that allows you to create unique pages without ever touching a single line of code. Moreover, the template comes with 3 homepage designs and several pre-made page templates that will greatly reduce the amount of time you spend creating your website. The Break theme is based on Twitter bootstrap, and it’s fully responsive, which is great considering many of your site visitors will be on mobile devices. The template has a one-page design, so users will easily find all your important information on a single page without moving back and forth. 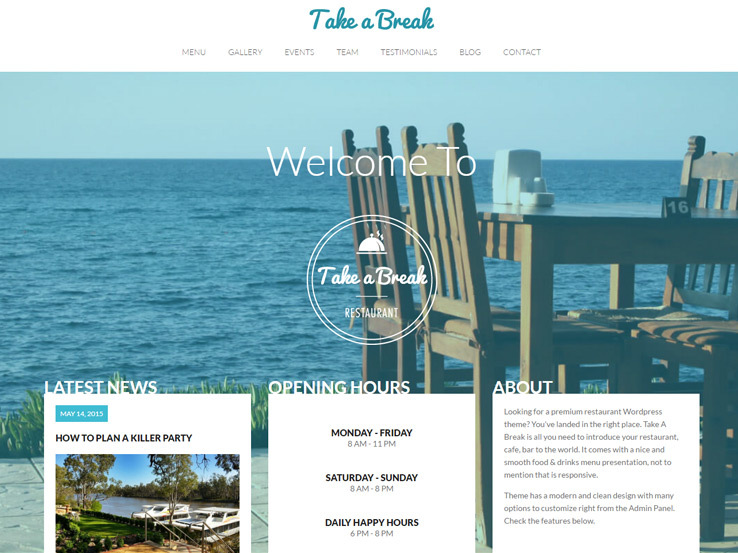 Many useful features are included with the Break theme, including a food menu, Google maps, and an events module to show potential customers where you’ll be going next. You can also add your team members and customer testimonials to build credibility. Also, there’s a blog to share tips and attract more traffic, a contact form for people to easily get in touch with you as well as social media icons to help boost your online visibility. 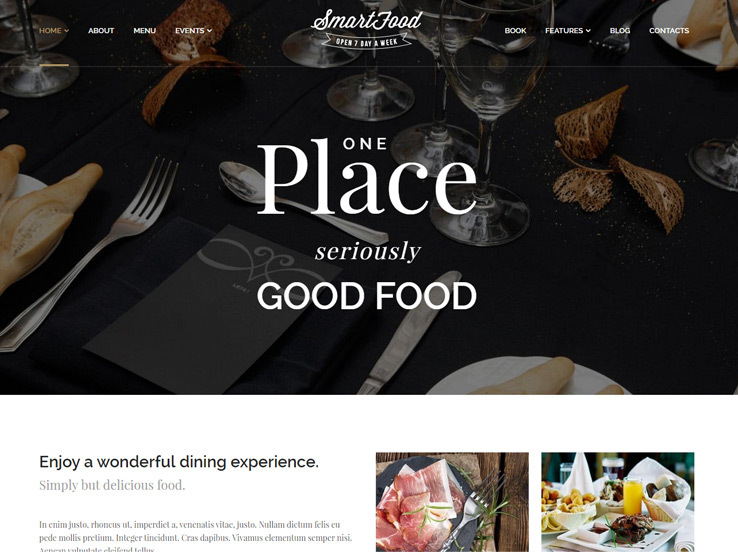 The Smartfood theme is another solid option for food truck businesses. This one has a clean design and it’s super easy to use. It comes with a working booking app, a food menu with 3 styles, an events module, galleries, and much more. At the back-end, you’ll find an intuitive drag-and-drop page builder to easily create your own custom layouts, and a powerful theme admin panel for customizing the look and feel of your site. Additionally, the Smartfood theme includes translation tools, social media integration, and a handy newsletter signup form that makes it easy for you to connect with potential customers via email.